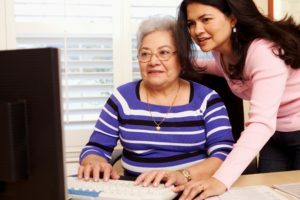 Have you thought about meeting with an elder law and medicaid planning lawyer for estate planning in Monroe NC? For many families, the high cost of long-term care has made planning for the future very important. The fact is, most seniors will probably require some form of long-term care. Unfortunately, many of them are not prepared for the significant financial burden it place on their loved ones. Not many individuals or families can handle the cost of care which can now often be over $10, 000 per month. Even for those seniors who can afford private care, the cost of long-term care can eventually be overwhelming, and threaten to wipe out a life-time of savings in just a few years. For those who have planned ahead with long-term insurance may have some sense of security knowing that they will not have to rely so heavily on other resources. But what about those who cannot afford the high cost of insurance? Or what if your insurance does not cover as much as needed? Unfortunately, even some people with insurance end up having to resort to Medicaid to cover the cost of their care. The fact is, many people today do rely on Medicaid to pay for their long-term care. Medicaid provides assistance to low-income individuals, and those who are age 65 or older, disabled, or blind. It covers the greatest percentage of nursing home bills in America, and eligibility rules vary from state to state, but federal minimum standards and guidelines must be followed. The trend in the last few years has been such that these eligibility requirements continue to become more and more complex, with stricter regulations regarding income caps, look-back periods, transfer penalties and waiting periods. An elder law and medicaid planning lawyer can be very helpful. Let Burns, Gray & Gray help you with Medicaid Planning. Don't wait for a health care crisis to happen, and catch you off guard. Let us help you create a plan to protect what is important to you, and alleviate the financial burden that could overwhelm you or your family. Our comprehensive planning approach creates a long term plan for our clients who wish to preserve their hard-earned assets. We will review your specific financial situation to lay out your options and plan the best way for you to protect your estate. We are here to give you the tools you need to be prepared for whatever the future may bring. Our law firm has the experience and the expertise to help you avoid the financial ruin associated with the high cost of long-term care. Contact Burns, Gray & Gray today to start the process of understanding the complicated issues surrounding Medicaid eligibility. Let us help you preserve everything you have worked so hard for.